Above: Memorial to Pamela Constance Mary Coole. Able Seaman Peter Hamm R N, died 5 April 1942, aged 19. The son of Peter and Winifred Blanche Hamm. Cpl Leonard Harvey, RAF. Missing, now reported killed.The son of Mrs W J Harvey, Higher Bawdley Cottage. Private Henry Eli Knowles, Pioneer Corps Aux Mil, died 30 September 1940, aged 29. The husband of Amy Louisa Knowles. Captain Edward Neil Whitley, RAMC. 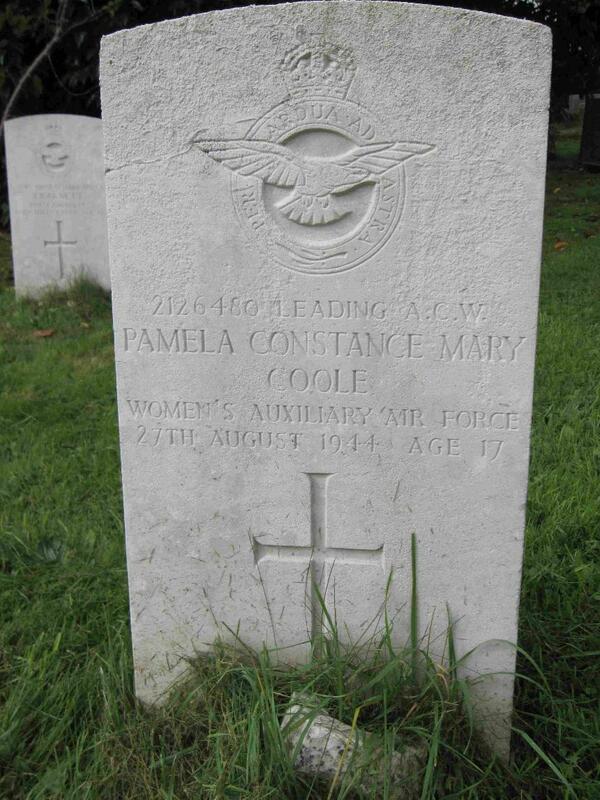 Died 29 August 1944, aged 26. The son of William and Elizabeth Frances Whitley, Ashburton. Buried Buckland in the Moor.